As previously reported, Peter will be returning as Dennis Ryland in the third season opener of THE 4400. It will be shown on Sunday, June 11th as a two-hour special from 9:00-11:00 ET/PT on the USA Network. "The 4400" premiered as a limited series on July 11, 2004 on USA Network as the highest-rated and most-watched new series premiere ever on a basic cable network. Last summer, the show ranked as the #1 original scripted series on cable in P18-49, beating every other cable network's new series launches. The 4400 received three Emmy nominations in its first season, including Outstanding Miniseries, as well as Outstanding Writing and Cinematography for a Miniseries or Movie. Before the much-anticipated third season launch, fans and newcomers have two opportunities to familiarize themselves with the show. On Sunday, June 4 USA will air "The 4400 Special: Unlocking the Secrets" from 10:00pm-11:00pm ET/PT - a one-hour clip special reintroducing the past events of the show to prepare fans for the third season. Earlier in the day, audiences can tune in to "The 4400 Marathon: The Essential Episodes" from 9:00am-10:00pm ET/PT. For more information as well as a clip from the season opener, visit USA's 4400 Web Site. Peter has narrated a PBS documentary called "The Vanishing Lions", which was aired last month. As recently as 10 years ago, about 100,000 lions roamed the African continent. However, recent studies have indicated their numbers have dwindled by 70 percent or more. This program sheds light on the predators' plight, including a virus spread via jackals and hyenas and the lions' quest for food that often leads them from the safety of wildlife preserves into the sights of hunters' rifles. The film also examines efforts to maintain the lion population, including a South African experiment with artificial insemination, and a program that electronically tracks the lions' habits, helping livestock owners shield their herds more effectively. 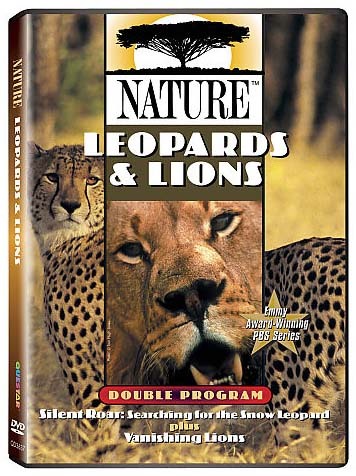 This documentary will be included on the DVD "Nature: Leopards & Lions" along with the film, "Silent Roar: Searching for the Snow Leopard." The DVD will be released on June 6th at Amazon.com for $13.99 plus shipping. As many of you know, ABC ultimately pulled the plug on COMMANDER IN CHIEF and it will not return for the fall lineup. However, ABC Entertainment President Stephen McPherson has left open the possibility of bringing back Commander sometime next season in the form of a two-hour TV movie. The show got off to a promising start in the ratings last fall, then steadily lost ground, even after returning this spring from an 11-week hiatus with a less-competitive time slot and a renewed promotional push. The final three episodes, which were pulled from ABC's schedule for the duration of the May ratings "sweep," will air on May 31, June 7 and June 14, concluding the series' prime-time run, network executives said. Award-winning filmmakers Dana and Hart Perry have produced a new documentary series called "The Drug Years", a four-part look at the rise of illicit drug use and its cultural impact in the second half of the twentieth century. Based on the book "Can't Find My Way Home: America in the Great Stoned Age" by Martin Torgof, this series will premiere on VH1 on June 12 at 9 pm (EDT) with encore showings on the Sundance Channel beginning June 16 at 8 pm (EDT). There will be an interview with Peter, as well as with Jackson Browne, Russell Simmons, Chuck D, Ice-T, Juliette Lewis, Ally Sheedy, Tommy Chong, and many others. I assume Peter's interview will show up in the first episode called "Break on Through" (1950s-1967), which highlights the role played by drugs in the rejection of conformist America, a revolt championed by artistic and social subcultures that includes the Beats and the Hippies. 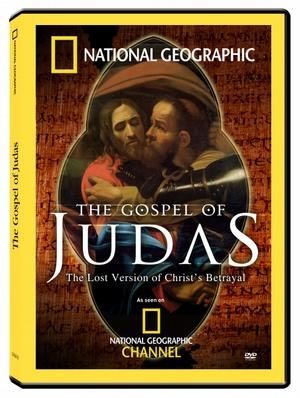 On Saturday, April 22, "The Gospel of Judas" will be aired on the National Geographic Channel from 8 to 10 pm (EDT). Narrated by Peter, this documentary highlights one of the most hated men in history: Judas Iscariot, the apostle who betrayed Jesus. For centuries, his name has meant treachery and deceit. Hidden for nearly two thousand years, an ancient Gospel emerges from the sands of Egypt that tells a very different version of the last days of Jesus and questions the portrait of Judas Iscariot as the evil apostle. This National Geographic special details everything that has happened to this extraordinary document since it was found, including the authentication process, its translation and interpretation and efforts to identify its author. The DVD will be available for purchase on June 6, 2006. For weeks, ABC has scheduled the return of ''COMMANDER IN CHIEF'' for April 18. Now it will be back sooner than expected, according to the latest announcement. It will return this Thursday, April 13, from 10-11 pm (ET) in the network's newsmagazine "Primetime" slot and will continue every Thursday through May 18. Peter will guest star in the April 20th episode called "The Price You Pay". This summer be sure to look for Peter resurrecting his Dennis Ryland role in the third season opener of THE 4400 on the USA Network. The sci-fi series, which premiered back in July of 2004, has the distinction of being the highest-rated and most-watched new series premiere ever on a basic cable network and was honored with three Emmy nominations for its first season. April 18th marks the 100th anniversary of the San Francisco earthquake and CAV Media Studios is ready with a one-hour documentary narrated by Peter called "Damnedest Finest Ruins". 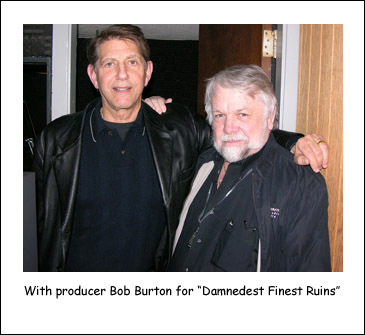 Produced by Bob Burton (seen in the photo) and author James Dalessandro, the film brings the historical characters and events of the past into the present with realism through storytelling. A screening will take place on Sunday, June 11, at the Oakland Museum of California. And there are more Coyote documentaries to report. Last month at the 5th Annual Palm Springs Native American Film Festival & Cultural Weekend, the 10-minute short, "Spirit Riders - Riding to Mend the Sacred Hoop", was screened. 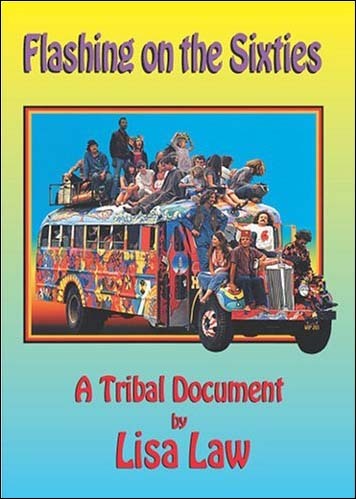 The James Kleinert film captures the birth of an American Indian peace movement and shows how its growth has united such diverse regions of the world as Central America, Australia, Ireland and South Africa. And Peter is interviewed in the William Tyler Smith's documentary called "Summerhill". The film is based on the real-life stories from Summerhill, the alternative school in Suffolk, England. Shot over the course of five years, the feature-length documentary will include the recent historic political battle by the Labour Government to close down the school. Also included are interviews with Tom Conti, Orson Bean, Jake Weber and Rebecca De Mornay. 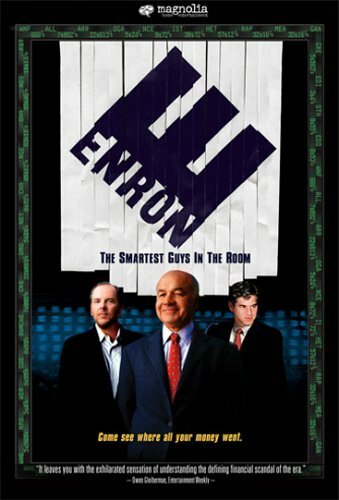 Some recent DVD releases include two documentaries - "Enron: The Smartest Guys in the Room" (2005), the acclaimed film narrated by Peter, and secondly, Lisa Law's "Flashing on the Sixties" (1991), in which Peter reminisces about his hippie days in San Francisco. 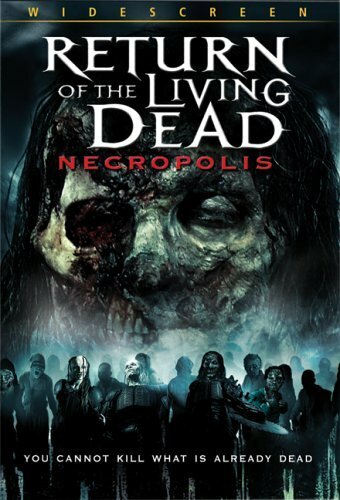 On April 18th, RETURN OF THE DEAD 4: NECROPOLIS will be released on DVD. In this incarnation of George A. Romero's saga, a group of high-school kids encounters a loathsome horde of the living dead and discover that an evil mad scientist named Charles Garrison (played by Coyote) has invented a chemical capable of creating zombies. Great camp! And the DVD for the 1996 TV movie DALVA, also starring Farrah Fawcett and Powers Boothe, was released in January. 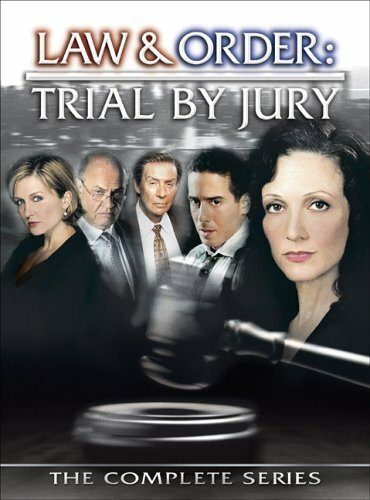 Universal Home Video Entertainment will be releasing NBC's short-lived and overlooked crime drama "Law & Order: Trial By Jury", starring Bebe Neuwirth, Amy Carlson, Kirk Acevedo, Fred Dalton Thompson and Jerry Orbach. Peter guest stars as lawyer Mike LaSalle in the episode entitled "41 Shots", which originally aired March 4, 2005. This 3-Disc DVD set contains all 13 original episodes of the entire series, including one never broadcast on network TV. It will be available on April 25th. 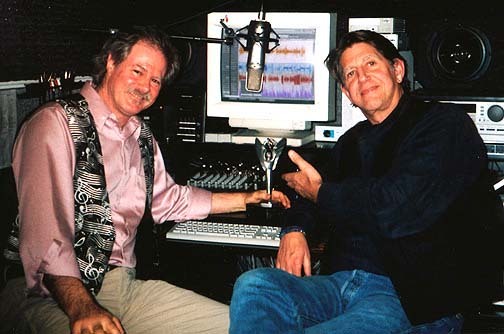 It has recently come to my attention that Peter narrated two productions for KCCM-FM. 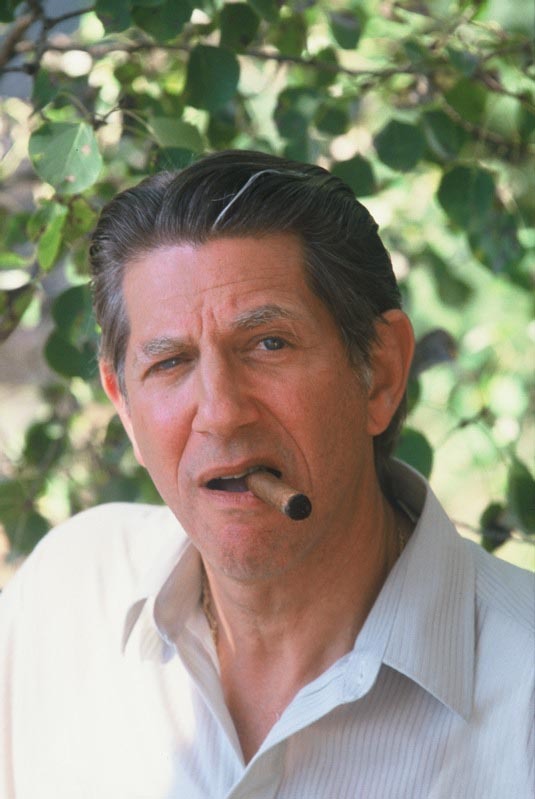 "Jazz Rhythm" is a weekly hour radio show hosted by Dave Radlauer, who explores the lore, culture and personalities of early jazz. Back in 2003 the show received the Gabriel Award for its series, which included "Django: Life, Legend, Music" and "Celebrating James P. Johnson". The Gabriels are presented each year by the Catholic Academy for Communication Arts Professionals with their most important criterion being the ability to uplift and nourish the human spirit. The photo above shows Dave sharing his award with Peter. Last month Peter received recognition at the Silver Lake Film Festival, a non-profit organization that showcases independent film in Los Angeles. The festival was created to specifically address the lack of opportunity for independent narrative features and documentaries, as well as short films, to be seen by audiences in movie theaters. These are films that reflect a personal vision of the filmmaker, rather than a commercial imperative. 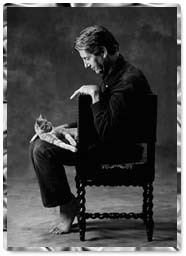 Five performances were recognized and awarded, among them Peter's role as the shifty Herman Finch in the David S. Marfield film DEEPWATER. Hopefully Coyote fans will see it soon on DVD!